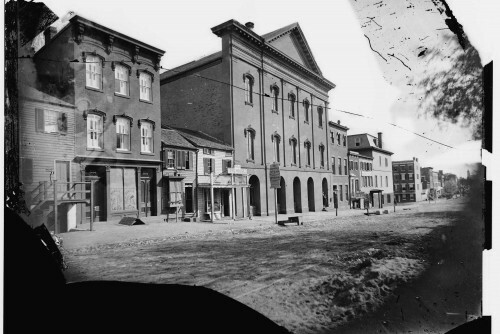 During the Civil War, Ford’s Theatre was one of Washington’s top entertainment venues, giving Washingtonians a much-needed break from the realities of war. President Lincoln, who loved theatre, opera and Shakespeare, visited Ford’s Theatre on at least 10 formal occasions. On April 14, 1865, Lincoln and his wife decided to visit the theatre to see the comedy Our American Cousin. John Wilkes Booth, a Confederate sympathizer, snuck into the President’s Box and shot Lincoln with a single-shot Deringer pistol. Booth fled into the night, and Lincoln died the next morning in the Petersen House, a boarding house located just across the street from the theatre. Lincoln’s assassination shocked the nation, and Ford’s Theatre remained closed for more than 100 years. In 1968, Ford’s Theatre officially reopened as a national historic site and theatre producing live performances. 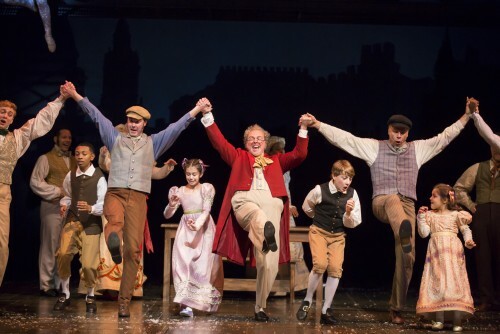 Today, Ford’s offers inspiring theatrical productions, interactive museum exhibits and engaging education programs. Here, you can immerse yourself in America’s past while finding meaningful connections to our world today. Ford’s Theatre is operated through a public-private partnership with the National Park Service. Discover the history of Ford’s Theatre and what happened to the building after Lincoln’s assassination. In this virtual exhibit, explore the theatre’s origin as a church in 1861 and how it has changed over the years. This talented and dedicated group creates our world-class programs and supports our mission. 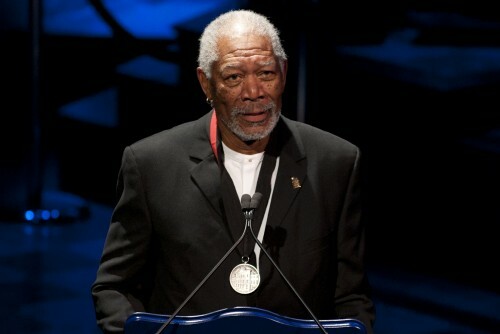 The Lincoln Medal is given by Ford’s Theatre Society to those who, through their body of work, accomplishments or personal attributes, exemplify the lasting legacy and mettle of character embodied by Abraham Lincoln. For almost 50 years, Ford’s Theatre has produced plays and musicals exploring the American experience and celebrating Lincoln’s legacy. With commissions like “The Guard” and Lincoln-based world premieres “The Heavens Are Hung In Black” and “Necessary Sacrifices,” Ford’s Theatre is making its mark on American theatre.